Advanced BodyTalk Practitioner, LMFT, CMT, Crisis Counselor, Reiki Practitioner, Applied Kinesiology, and Qigong Instructor. Tricia is excited to combine her professional skills with the BodyTalk System, creating powerful sessions! 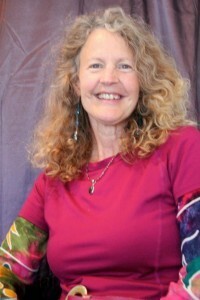 Becoming a Certified BodyTalk Practitioner in 2011, she is now an Advanced BodyTalk Practitioner. Helping people with severe health issues, addictions, and their coping skills, Tricia assists her clients to gain stress relief, to reduce negativity, and to develop healthy interactions with family, friends and co-workers. She is a firm believer in the BodyTalk Access Program as a daily preventive healthcare system. Tricia, suffering years of respiratory issues, is now symptom-free by applying BodyTalk Access daily and receiving regular BodyTalk Sessions. Along with her husband, David, she holds Public Health Talks and BodyTalk Study Groups at their Community Center. Tricia is an avid promoter of the BodyTalk System in her community.